An amazing peacock colored pendant! 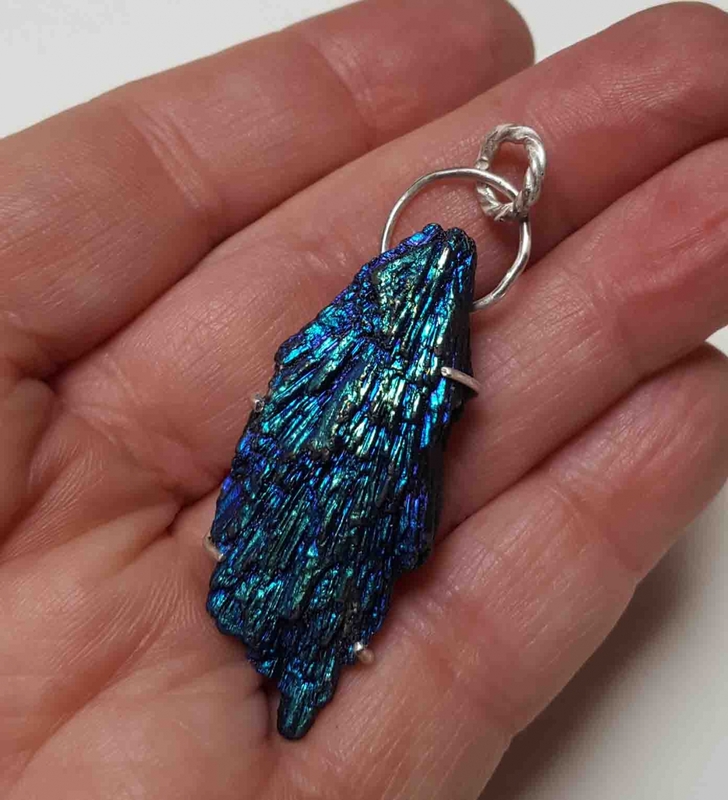 The base stone is a craggy dark gray crystalline form of kyanite. It has been coated with fumed titanium, which gives it an electric blue and irridescent green hue on its two sides. Very unusual in form, color, and totally unique in jewelry. If you're looking for something bold, bright, and organic, this is it! You will receive the exact necklace shown. It comes with a 20" black waxed cotton cord necklace, not shown. You can measure a 20-inch string to see where it will fall on you. 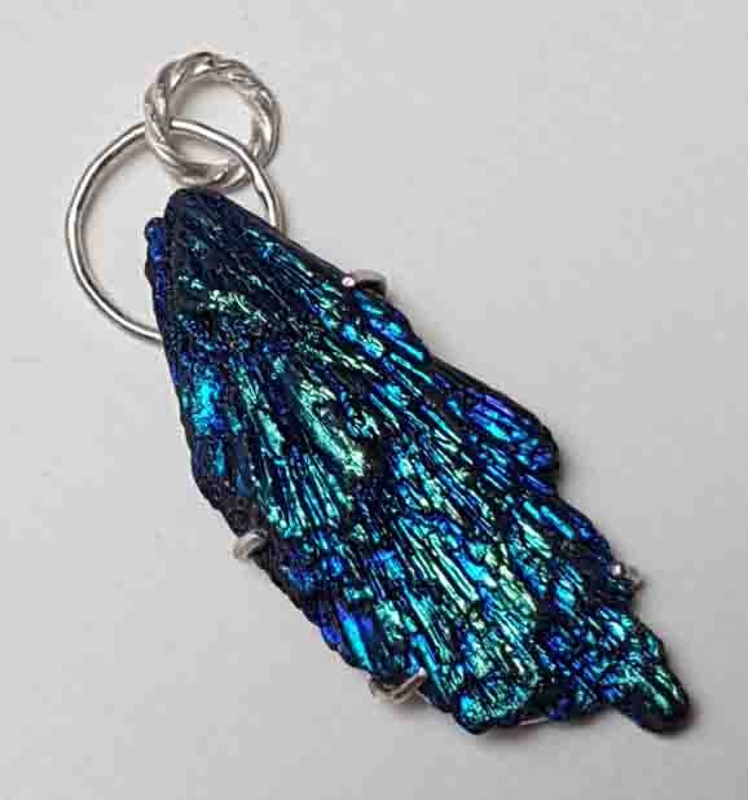 Metaphysically, black kyanite deflects negative energy; it is very grounding. A stone of protection, it assists in channeling, dream recall, and visualizations and provides protection in those states. It attracts loyalty and honesty, can improve tranquility and diminish anger and confusion. Computer screens differ in the way they display color/shade. This StoneWyre creation will be shipped in a hand stamped kraft gift box suitable for gifting and storage. Shipped from smoke-free studio.